The study, published in the Journal of the Academy of Nutrition and Dietetics, followed 4,445 Spanish adults, analyzing the relationship between the participants’ health-related quality of life and yogurt consumption for an average of 3.5 years. Health-related quality of life is a concept that encompasses “aspects of overall quality of life that can be clearly shown to affect health – either physical or mental,” as defined by the the Centers for Disease Control and Prevention (CDC). For individuals, this can involve health conditions and risks as well as socioeconomic support and status. “This is because the majority of studies have focused on the effect as a whole, but it would be interesting to evaluate the independent association between each type of product and global health indicators,” suggests López-García. Several experts have previously suggested that yogurt could influence health-related quality of life due to its high calcium content – vital for protecting the bones against debilitating disease. 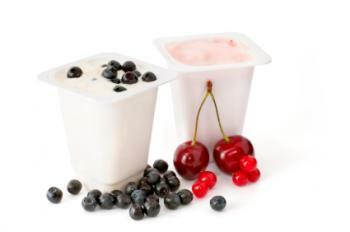 Other research has associated yogurt consumption with direct health benefits, such as a lower risk of type 2 diabetes. “In comparison with people that did not eat yogurt, those who ate this dairy product regularly did not display any significant improvement in their score on the physical component of quality of life, and although there was a slight improvement mentally, this was not statistically significant,” states López-García. Last month, Medical News Today reported on a study that set out to investigate whether there was any truth behind the proverbial claim that “an apple a day keeps the doctor away.” Although regular apple consumption did not reduce the use of health care services, it did reduce reliance on prescription medications.